Ten years on from the Beslan school hostage crisis, many of its victims have the chance for justice thanks to a Middlesex human rights centre. Victims involved in the Beslan school hostage crisis are to seek justice at the European Court of Human Rights – many of whom will be represented by the European Human Rights Advocacy Centre (EHRAC), based at Middlesex University. Last month marked the 10th anniversary of the beginning of the three-day siege, in which at least 1,128 people (including 800 children) were taken hostage by Chechen separatists. The siege, at School No.1 in Beslan, North Ossetia, began on 1 September 2004. Russian forces stormed the school on the third day and, in the ensuing fighting and fire, 331 people were killed, of whom 179 were children. Now, EHRAC and the Russian NGO Memorial (based in Moscow) are supporting some 300 former hostages and those who lost relatives in the attack. On 14 October 2014, they will represent them in bringing their case against Russia at the European Court of Human Rights. The court will hold a Chamber Hearing in this case, at which Russia's obligations under the Right to Life (Article 2 of the European Convention on Human Rights) will be publicly scrutinised. Oral hearings at the European Court are only held in exceptional circumstances. The case will focus on Russia's operation to end the siege. It will examine the measures taken by the Russian authorities to avert the attack, the planning and control of the rescue operation and on the effectiveness of the official investigation, which concluded that state actors bore no responsibility for the deaths and injuries. Specifically, the applicants and their representatives will argue that Russia failed to take adequate measures to prevent the attack, given the detailed information available to the authorities about the specific threat on that day. They will also argue that the investigation into the loss of life failed to justify the use of indiscriminate weapons; and that the use of lethal force and the planning of the rescue operation did not minimise risk to the lives of the hostages. "This case cannot undo the immeasurable suffering which the families endured during the siege, and in the ten subsequent years. "However, we hope the outcome will provide a measure of justice to them - an acknowledgement that the Russian authorities failed in their obligation to protect life in the prevention of the attack and in the conduct of the rescue operation, that they used disproportionate and indiscriminate force, and that the investigation into the loss of life has been completely inadequate." 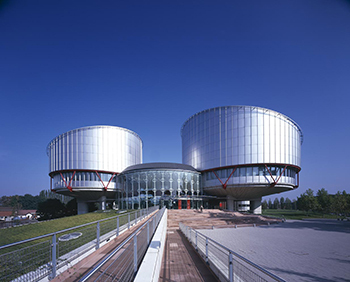 EHRAC has been working for the protection of human rights in the former Soviet Union since 2003, working in partnership with lawyers on the ground, and has secured over 100 judgments at the European Court of Human Rights, mainly against Russia but also against Georgia, Azerbaijan and Ukraine.